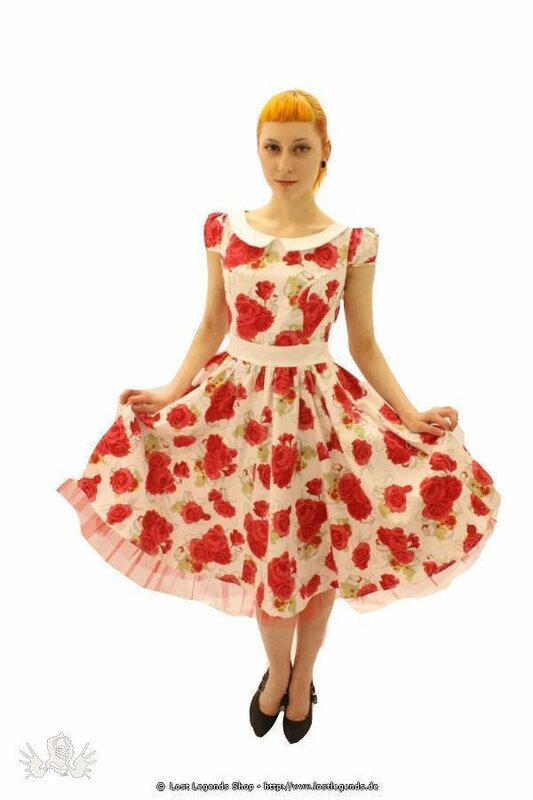 Womens vintage fifties style rose print dress with capped sleeves and 2inch/5.1cm white canvas waistband. Stunning floral dress with white collar, flared skirt and underskirt with net trim. Fastens at the side with a 12inch/30.5cm concealed zip. Measures 25inch/63.5cm in length.